The majority of star systems are comprised not of a single star but of two or more stars orbiting about their common center of gravity. However, only a handful of these emit high-energy gamma rays. 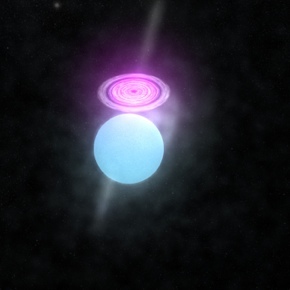 Most X-ray binary systems detected in gamma rays belong to the class of systems known as high mass X-ray binaries (HMXBs); these systems are comprised of a massive (>10 solar masses) star and either a neutron star or a black hole. For the majority of gamma-ray binaries, the nature of the compact object is still a mystery. Gamma rays are believed to be produced in these systems by particles accelerated either within a relativistic jet, or by a pulsar wind colliding with the stellar wind and/or the outflowing equatorial disk of the massive star. But there are still many questions about the details of how binaries produce gamma-ray emission. Left: An artists conception of a microquasar system and its associated jets. Right: The Fermi-LAT gamma-ray count map from the Cygnus X-3 (source circled) region. The brighter sources in the map are known gamma-ray pulsars. 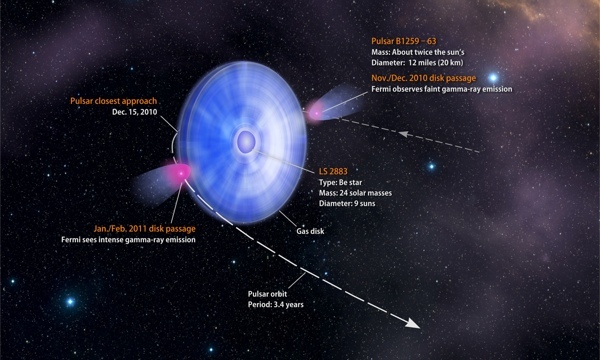 An artist's conception of the pulsar binary B1259-63 as the pulsar traverses its orbit around the Be star. 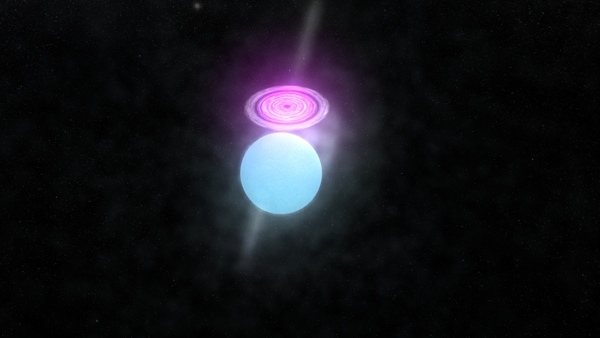 One of the most surpsiing discoveries from Fermi-LAT has been in the study of the subclass of binary systems known as novae. 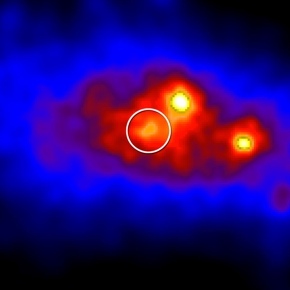 The gamma-ray count maps of 4 new gamma-ray novae seen by Fermi-LAT. 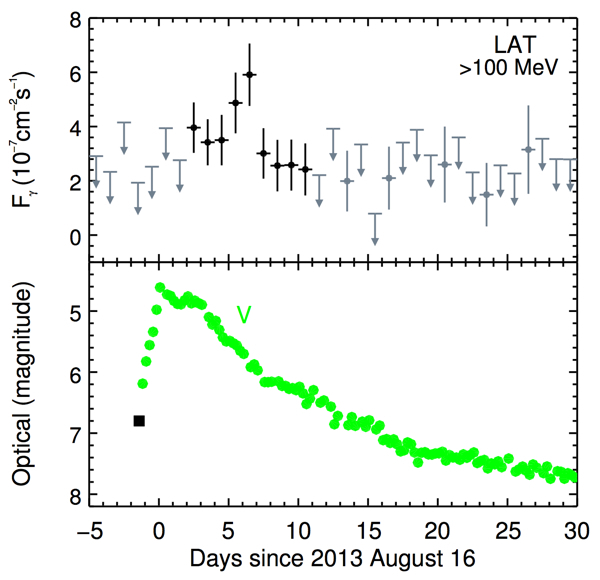 The optical (AAVSO) and gamma-ray light curves of the nova event in V339 Del show that the high-energy GeV emission lags the optical emission by several days, due to the travel time necessary for the nova blast to leave the system and interact with surrounding media.